- See also related post on The Conversation. 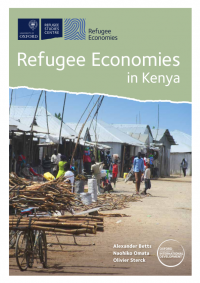 - "Through primary data collection, we explore the conditions under which refugees can become self-sufficient and make positive economic contributions to their host states and societies." This programme was formerly known as the "Humanitarian Innovation Project." More info. is available in this RSC news release.